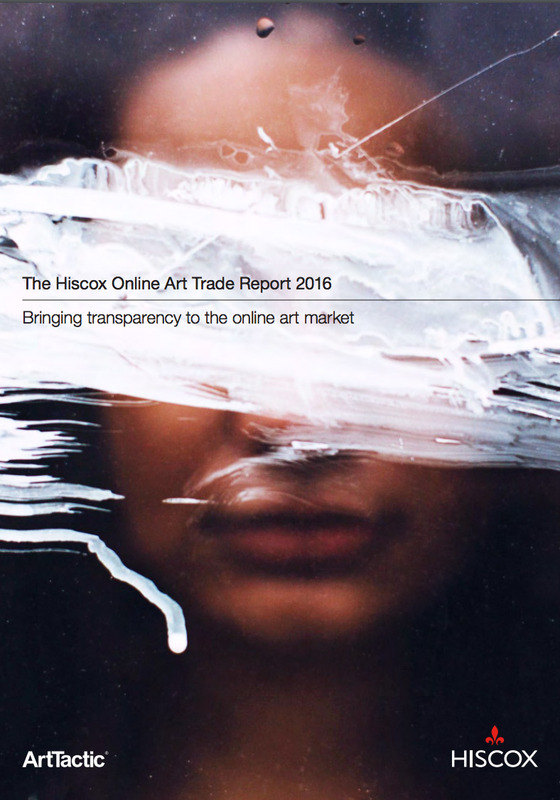 Hiscox published The Hiscox Online Art Trade Report 2016 earlier this month. This is my analysis of key points from their review - in an easy to digest format. What's happened to online sales of art? Online sales are closely associated with buying via mobile devices. So to sell art online, artwork needs to be on a site which displays art well on phones and tablets and social media needs to be used to generate traffic. Picking the right platform to use is critical. Is online selling competition for traditional methods? 39% of B&M galleries have no strategy at all for online sales! Tomorrow I'll be looking at the Online Platforms which generates traffic for artwork and sales. 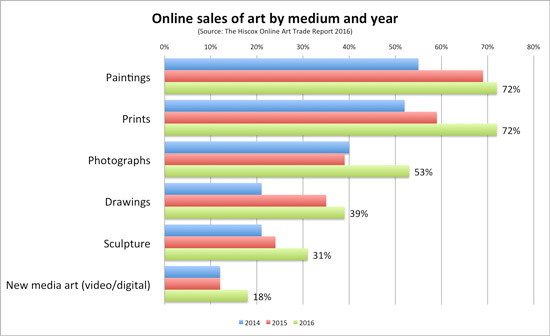 Ok so you make a tantilizing comment "80% of online art buyers use three online platforms". What are they? Need backup info there. Fun to read though. It's NOT three specific platforms. What they found is that buyers tend to like just a few platforms and don't browse around all the platforms that are available. I'm assuming we'll get a better sense of which are the post popular with buyers (in terms of frequency of use by buyers) in the next report. 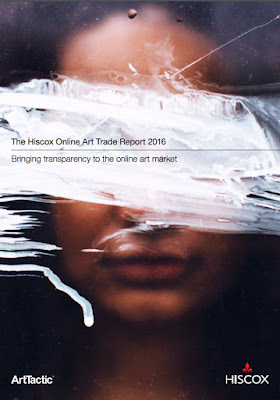 Remember Hiscox is doing us a big favour doing these surveys and publishing the information. I've certainly learned a lot with every report they have published. We aren't going to get all the answers at once - but finding out more each year provides the pathways for fruitful further enquiries.